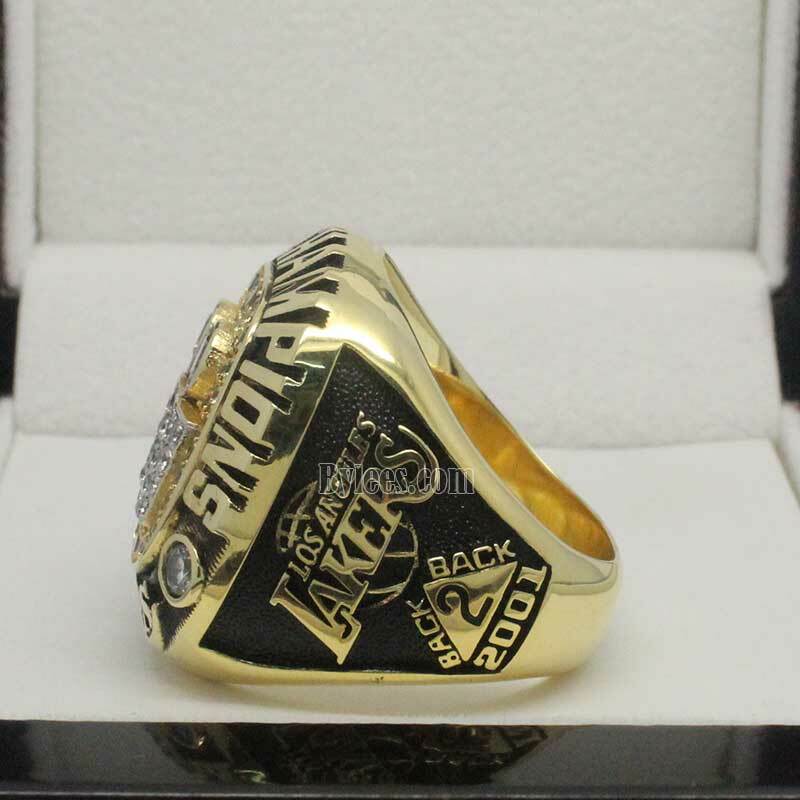 2001 Los Angeles Lakers NBA Championship Ring is the 2nd straight basketball world championship ring that lakers won. 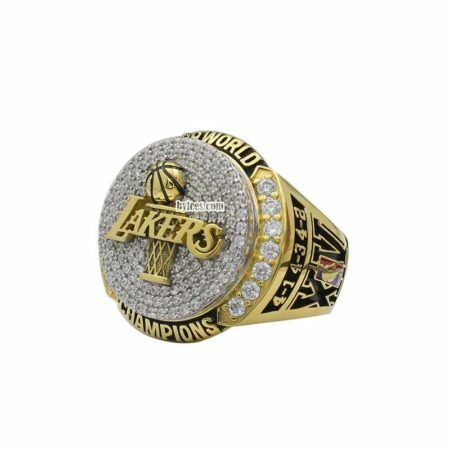 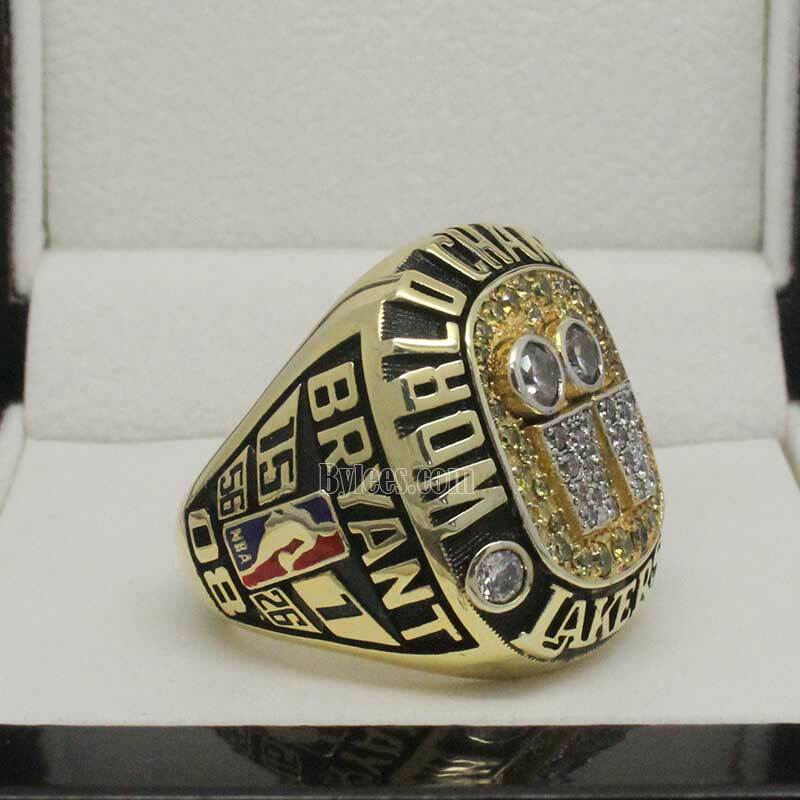 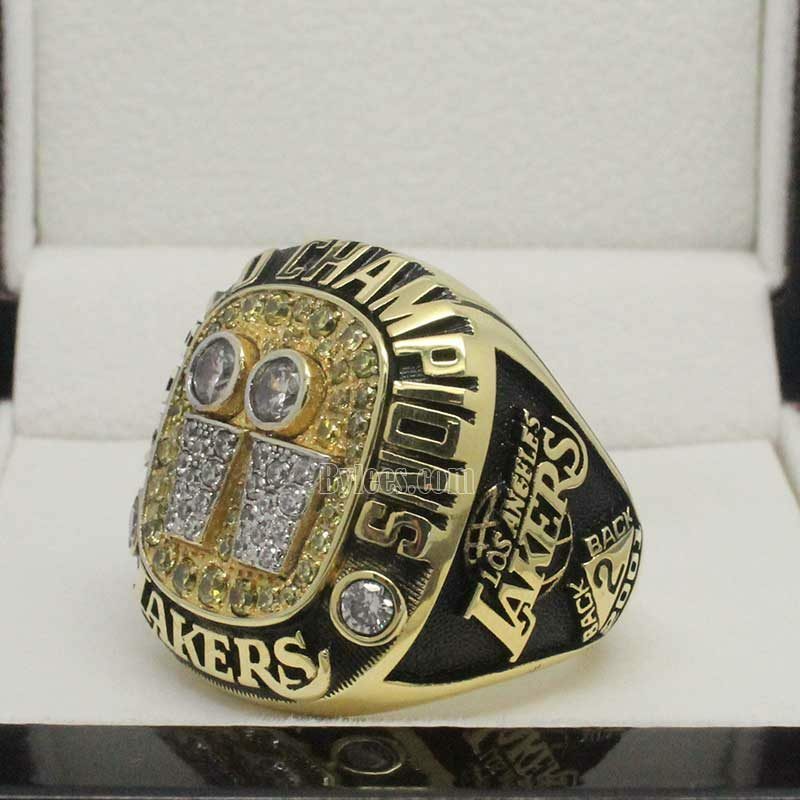 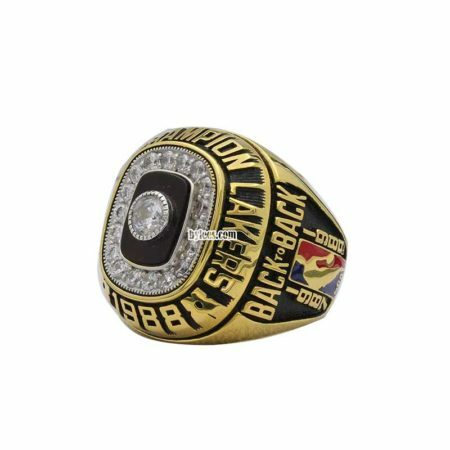 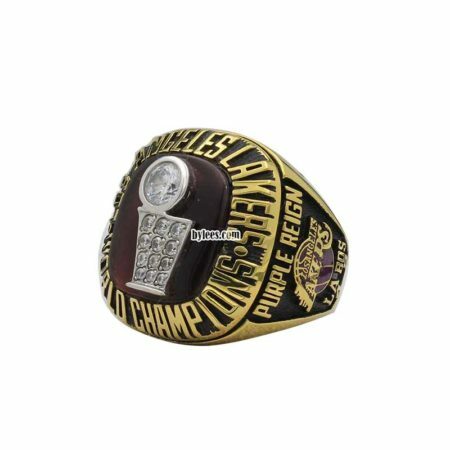 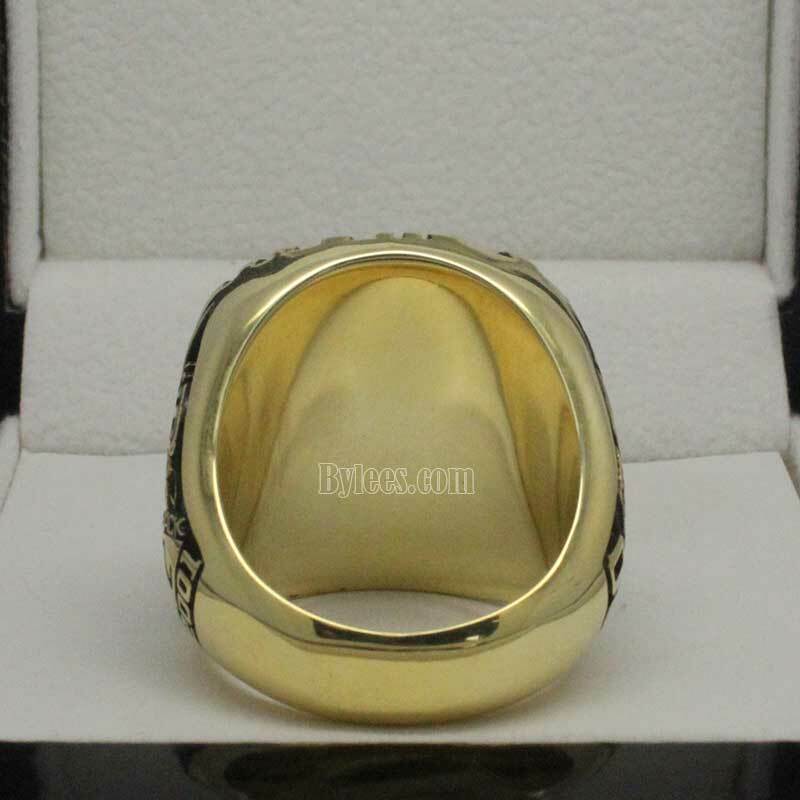 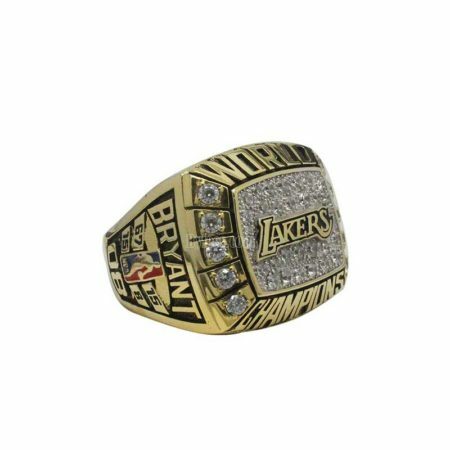 Compared with the 2000 NBA finals championship ring, the design of the 2001 lakers championship ring changed quite a lot. 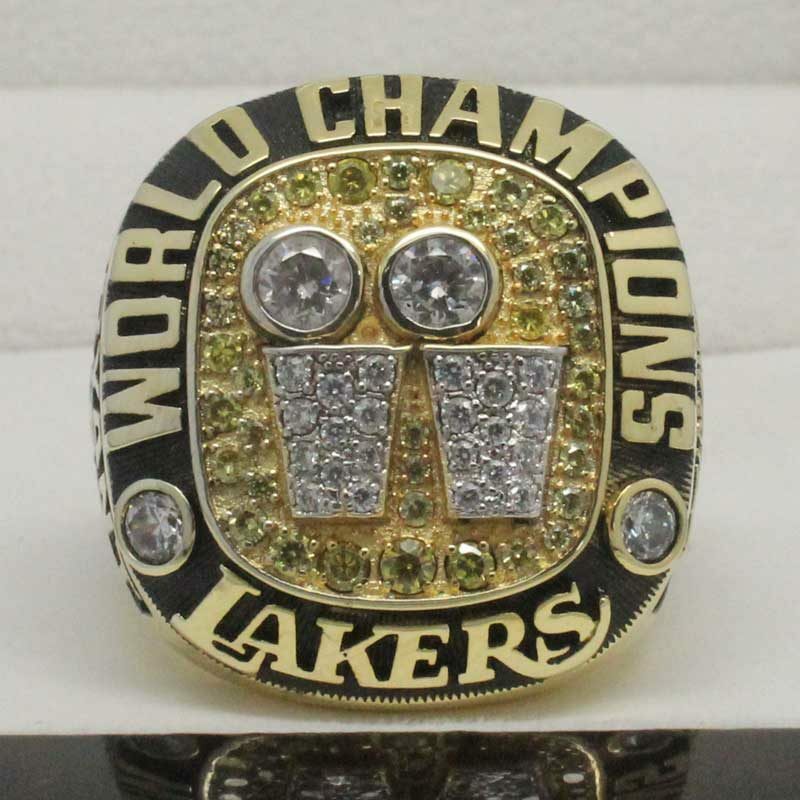 On the top, the Lakers logo was replaced with two Larry O’Brien Championship Trophy, and the shape has changed from square to round. 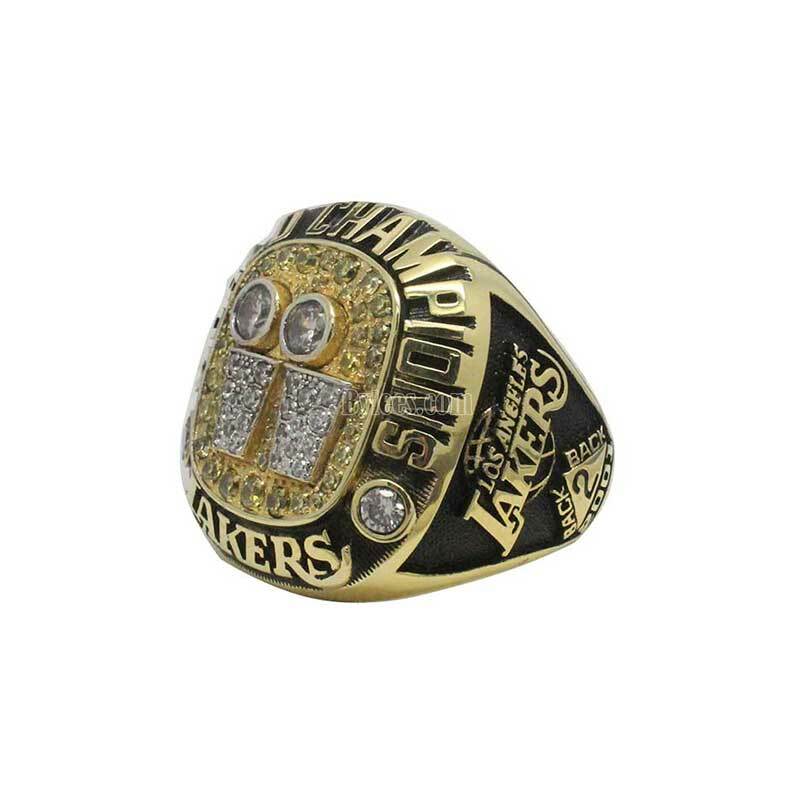 The 2001 NBA championship ring is also the second Shaquille O’Neal lakers championship ring, he named as the MVP again and Allen Iverson scored 48 points in his only NBA Finals victory. 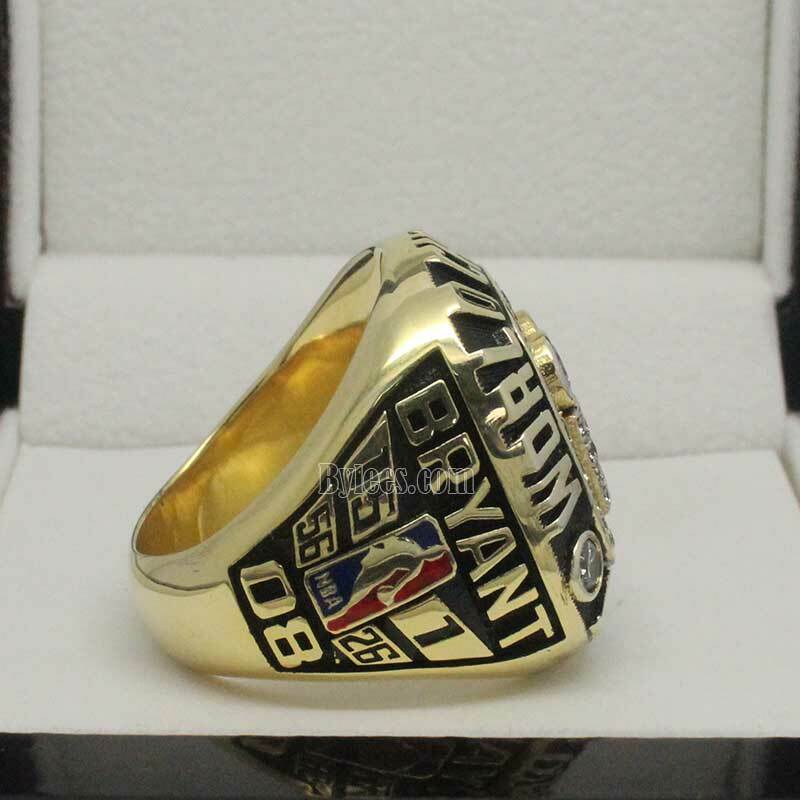 the version here is still kobe bryant replica ring.